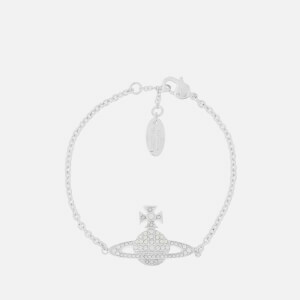 Women's gold bracelet from Vivienne Westwood. 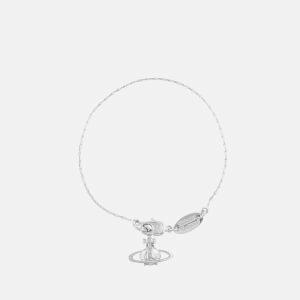 The 'Mini Bas Relief' bracelet has been carefully crafted from gold-plated brass and features a Swarovski crystal-embellished Orb charm with delicate engraved detailing. Complete with a link chain and adjustable lobster claw clasp. 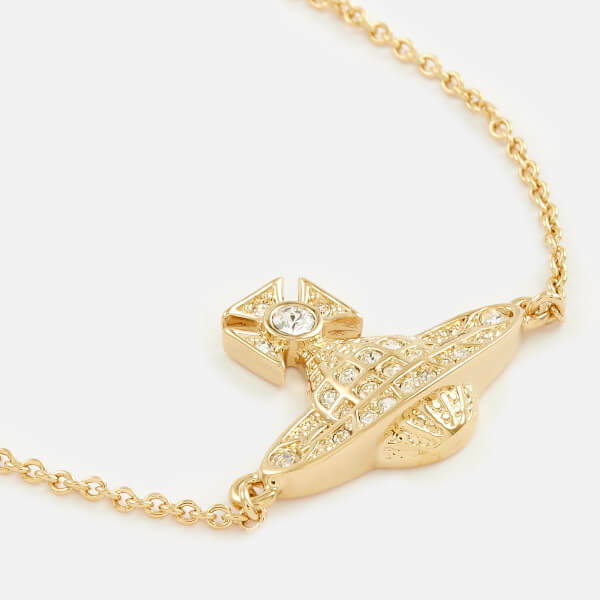 Brand-embossed charm to the clasp. Presented in a branded gift box.